Kids love doing things they're told not to do. Whether it's throwing a tantrum over bananas, or in the 21st century, playing with a parent's cell phone or tablet. 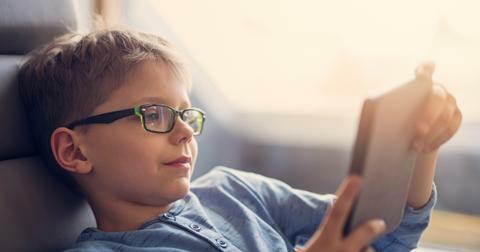 Kids are increasingly becoming glued to screens, and it's getting easier and easier to babysit our kids with YouTube. But this can have some unintended consequences. Twitter user Evan Osnos, a writer for the New Yorker, recently discovered the damage that kids can do when they get their hands on our technology. As one of millions of Apple users, Osnos has a pass code set on his iPad. If someone enters an incorrect pass code multiple times over a certain period of time, the iPad will eventually get locked for security reasons. When Osnos' three-year-old got his hands on his iPad, the toddler managed to get the iPad locked for 25 million minutes. That's 48 years. Osnos explained: "Uh, this looks fake but, alas, it’s our iPad today after 3-year-old tried (repeatedly) to unlock." He also asked Twitter for ideas on how to unlock the iPad before his 80th birthday. Unsurprisingly, Twitter wasn't that helpful. One user asked: "Did the 3yr old get his hands on the iPad just as the 12,000,000 minutes from the previous lock expired?" "Put it in a museum," another user suggested. "47 years from now someone can unlock it to see what computing used to be like." This Twitter user suggested Osnos get some revenge on his 3-year-old. "My 4-year old boy suggests leaving it until your son is 53. Then he wouldn't be able to play with it!" My 4-year old boy suggests leaving it until your son is 53. Then he wouldn't be able to play with it! "Think of it as a family heirloom," one user suggested. "They will think of you fondly 48 yrs from now! Thanks for sharing. That is awesome." Might as well give the iPad back to the kid. If you're lucky, it might just make number will overflow to something less long. Thankfully, Apple does have a way to restore the device should this happen to you. All you need to do is connect your device to your iTunes on a computer and either factory restore the device, or restore it from a backup. You can find a step-by-step guide on that here.